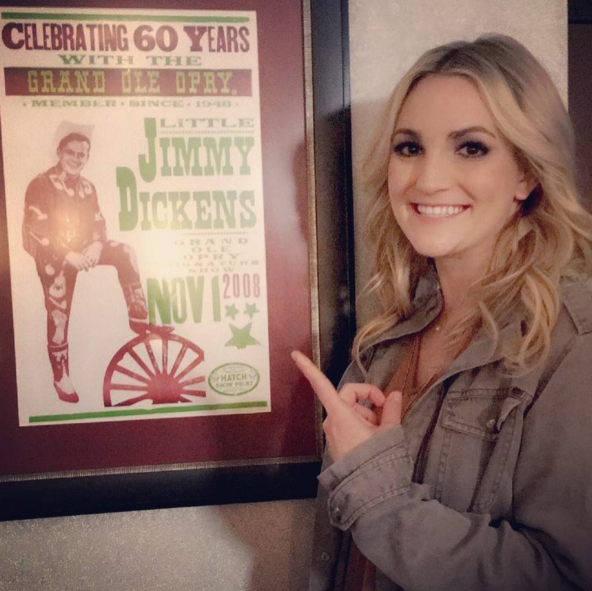 While on hiatus from her Las Vegas Residency at Planet Hollywood Resort & Casino, pop star Britney Spears made a surprise appearance at the Grand Ole Opry last night (March 15) to introduce her little sister (and rising country artist) Jamie Lynn Spears. “Not only is she beautiful and extremely talented, she’s my little sister…Jamie Lynn Spears!” Britney excitedly told the crowd. Jamie Lynn Spears’ brother Bryan, parents James and Lynne, and husband James were also there to support her Opry performance.